Having grown up in Chicago, I never thought it would be possible to live in a big, First World city for $1,000 a month. 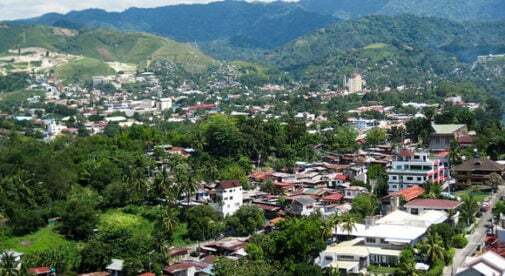 That much wouldn’t even cover my mortgage for a month back home… But when I arrived in Cebu City, which is on the eastern shore of the island of Cebu in the Philippines, I was immediately surprised by what I saw. High rises, malls, fancy cars—a major First World city. Yet, it really is possible to live there for $1,000 a month. Rent can be expensive in the city center, but just outside the city in Banilad you can find a two-bedroom, two-bathroom townhouse for $200—or venture a few miles farther and there are homes listed at just $115. And for just $5 or $6 a day you can hire a cleaner to clean your new home. A major benefit of living in Cebu is the amazing public transport. Getting around is so affordable and easy that you don’t need to shell out for a car or the expensive maintenance costs. There are at least five different types of public transportation here, and all are expat and budget friendly—scooter taxis, tricycles, buses, and the audaciously decorated Jeepneys range from 18 to 70 cents per person per ride. If you feel like riding in privacy, taxis are also very affordable. The most I paid for a taxi was $7, and that was to the airport, in midday traffic, which took about 35 minutes. When it comes to utilities, electric and internet can be expensive. Electric, without using the a/c a lot can be around $50 per month, while the internet is a bit less at around $30—of course both depend on your usage and need. Having said that, it’s still less expensive than the US. The cost of groceries and food is low, especially if you eat like a local. Buying at the open-air markets is certainly the most economical way to shop, but there are also a few larger grocers that stock pretty much everything. Eggs are $1.78 a dozen, a liter bottle of olive oil is $6.65, and chicken is $1.65 per pound—so keeping on a budget is pretty easy. 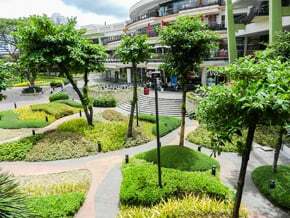 At the popular Ayala Mall you’ll have your pick of a wide variety of international restaurants, as well as some of the best shopping in the Philippines. At Michel’s Deli and Café and you can pick up a crusty loaf of artisan bread or a nice bottle of French wine ($4.25). A great way to save money is to join S&R, the Philippines answer to Costco. It costs $15 annually and it’s worth it. It has everything from fresh fruit and vegetables to sheets and camping equipment. However, Cebu has so many international restaurants that many expats don’t cook dinner at all. I was shocked by the variety of cuisine there; Greek, Argentinian, French, Chinese, Thai, even pizza—and that is just on one floor of the extremely popular Ayala Mall. Some of those places can get pricey, but if you go out for local food, even at the most famous lechón (roasted whole pork) restaurant, it will only cost you about $7 for two, and that is with rice, veggies, and a large beer. Going to a doctor in Cebu is just a matter of finding which one you like. The city has more than nine hospitals. Chong Hua Hospital is the one most frequented by expats. It only costs about $4.50 for a general doctor visit and even medicine is extremely affordable—a round of antibiotics will set you back $11. If you’re in need of dental care, a cleaning costs about $25 and braces will run you between $900 to $1,100. Healthcare in Cebu is so affordable that the majority of expats don’t take out health insurance, and instead opt to pay for treatment on a case by case basis. The savings many expats accumulate thanks to the low cost of living are often sufficient in case of an emergency. But if you prefer the certainty of health insurance, there are various ways to obtain it once you are settled in. PhilHealth is a government-subsidized option that is available, but there are also private options from companies like Bupa and Blue Cross Blue Shield.